Are you that friend that got sucked into hosting this year’s Super Bowl party at the last minute? Do you now have to worry about making your apartment look presentable and entertaining guests, and most importantly cooking delicious Super Bowl finger foods? Well, there’s no need to panic! The Spread has the recipes you need to keep your guests happy while they watch the big game (and all we can do is wish you luck on the cleaning part). As college students, it is not very realistic that we’ll be willing to slave in the kitchen for hours over slow-cooked ribs and a complicated dip from scratch. Instead, we should spend more time entertaining and less time sweating over the stove! These easy recipes are sure to whoo your guest into thinking you’re a world-class chef with mad skills. With only five ingredients, this recipe will wow your guests and take the weight off your shoulders. What person doesn’t love string cheese, pepperoni, and crescent rolls? This will not only please the taste buds of your guests, but it will also be sure to bring them back to their childhood of packed lunches fill with string cheese and warm meals served with crescent rolls. Serve with warm pizza sauce to heighten the pizza-like feel of this dish. Although a beloved dish, tacos can be very messy, thus why it is not too often that they are served at a party. This modified taco cupcake h’orderve is here to defy all taco stereotypes. This recipe requires a few more steps than the first, but it is definitely worth it. Add toppings such as sour cream onion and tomatoes if you’re feeling a little fancy. This is about as upscale as a college super bowl party can get, so be that person that served the fancy taco cupcake thingys at their party and relish in all the credit that you deserve. The party won’t be perfect without something reminiscent of the days of tailgating during the early fall months. 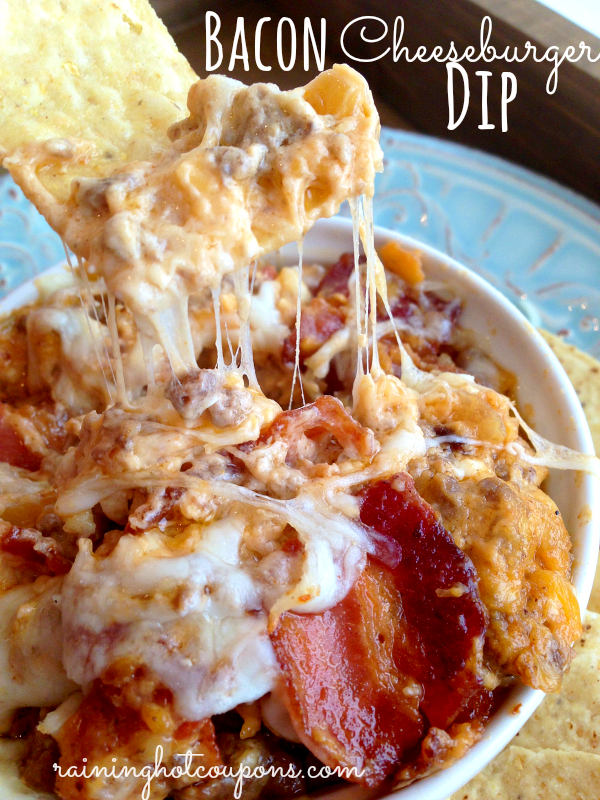 This bacon cheeseburger dip is the perfect dish to round out the football season without having to whip out the grill. The beef, the cheese, and holy bacon make this dish all worth it. Be sure to serve it with tortilla chips so your guests have something to use as a spoon to scoop up this goodness. 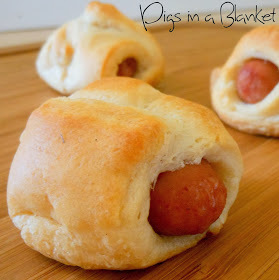 What would a party be without pigs in a blanket? This traditional finger food is one that guests will recognize and gravitate towards immediately. As the safest dish on the menu, this delectable item is a must-have when hosting a Super Bowl party. And what’s the best part about this recipe? It only has two ingredients. Enough said. Sweet and salty is always a good idea (well, minus the bacon sundae from Burger King). 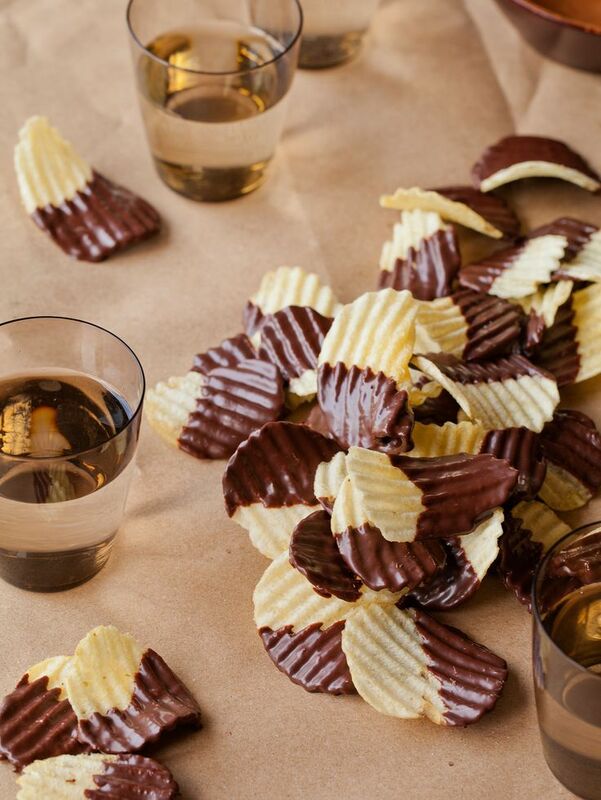 Your guests will love this whimsical chocolate covered potato chip dessert because it is not the traditional cookie or cupcake, and they won’t have to guess the ingredients because it’s all laid out there for them to see. It’s so simple for your to make, and your guests will be sure to at least give it a try–and be happy with the result. Can’t you already taste it?? Of course something has to be football-shaped at a Super bowl party. Instead of making a complicated assortment of dips replicating a football field, why not incorporate the theme into dessert? 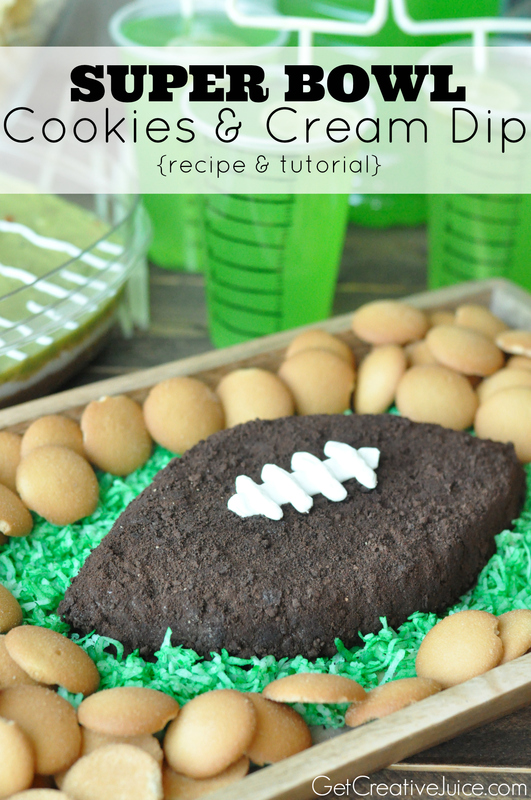 This football shaped cookies and cream dip will be a crowd pleaser. Oreos are like a college staple, so incorporating this ingredient will have your guests flocking towards the dessert table. Serve with other cookie favorites such as Chips Ahoy or Nilla Wafers to complete the cookie dream.